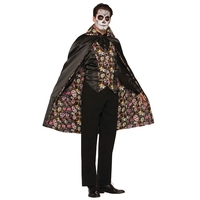 A great accessory for any Day of the Dead costume. 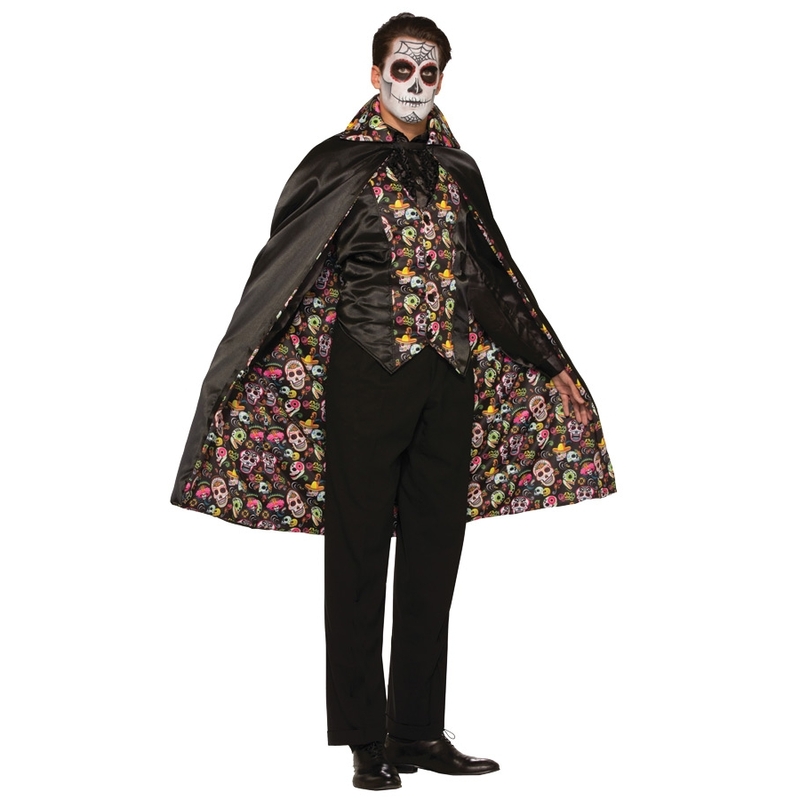 Black cape on the outside, incredible lining with colorful sugar skull design on the inside. One size fits all.